★ Open Finger Design:Allow to do daily task freely. ★ Textured Grips:Prevents objects from slipping out of your hands. 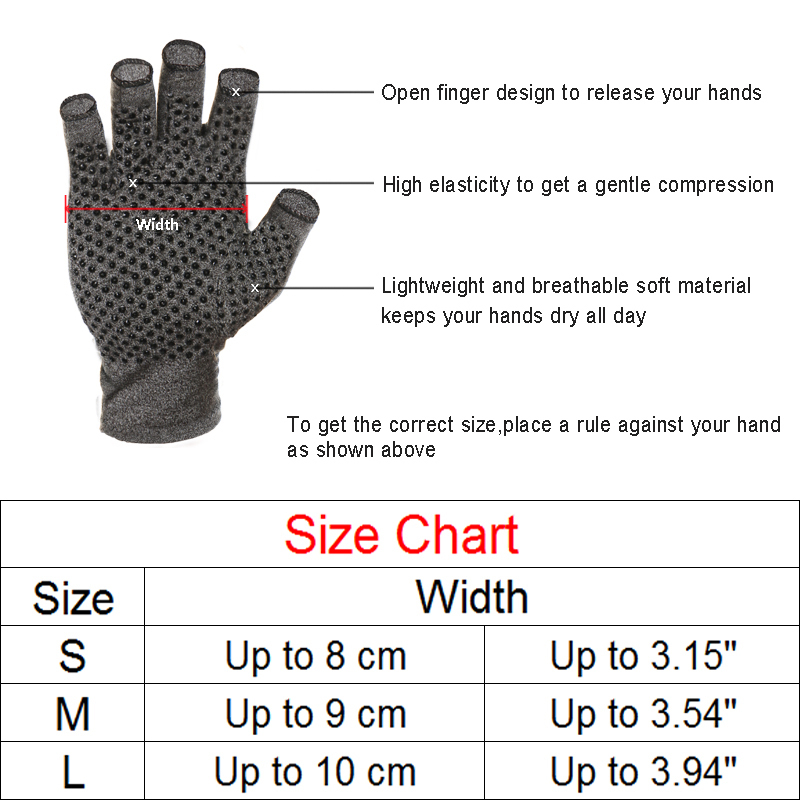 ★ Lightweight Breathable Cotton Material:Support mild compression,high elasticity soothe hands and knuckles. ★ Minimal Stitching:Reduce irritation and maximize comfort.